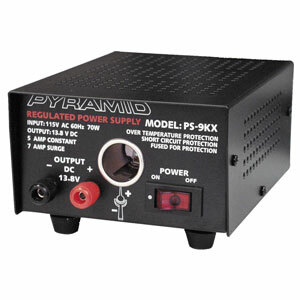 Switching mode power supplies regulate the output voltage by switching on/off at 50 kHz to 1 MHz. Linear power supplies regulate the output voltage by dissipating excess power in the form of heat, thus they are heavier. Intermittent amps is based on 50% Duty Cycle 5 min. on 5 min. off. 34 Models of 12V DC to 110V AC Power Inverters to choose from!